Pataphysics, at once a literary trope and a branch of philosophy (and science), has influenced an array of prominent artists, writers, and musicians since the early 20th century. Members of the Paris-based Collège de 'Pataphysique have included Marcel Duchamp, Raymond Queneau, Man Ray, Max Ernst, Fernando Arrabal, and the Marx Brothers. 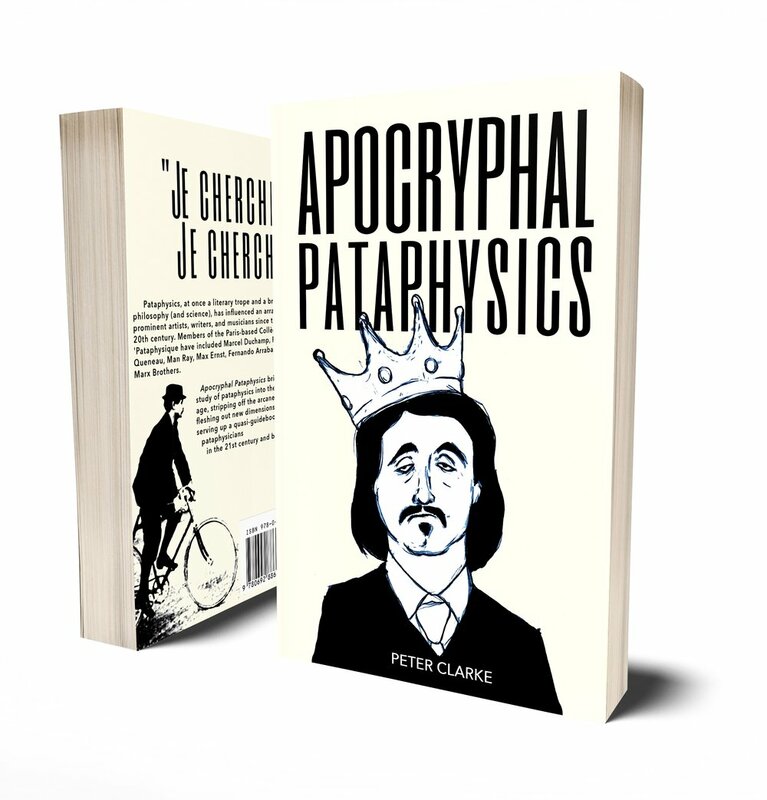 Apocryphal Pataphysics brings the study of pataphysics into the modern age, stripping off the arcane baggage, fleshing out new dimensions, and serving up a quasi-guidebook for pataphysicians in the 21st century and beyond. Fair-Minded Fraud and Forgery is a series of quasi nonfiction books, with each book covering a specific movement or concept in art, literature, or philosophy. The series itself is an art project of sorts, as the various books reference each other's worlds and play off similar themes. Our hope is to revive dead or forgotten art movements/ideas to make them relevant again in the modern world.